Islesford, Maine is a picturesque harbor town on Little Cranberry Island just southeast of Mount Desert Island, Maine, providing spectacular views of Acadia National Park. 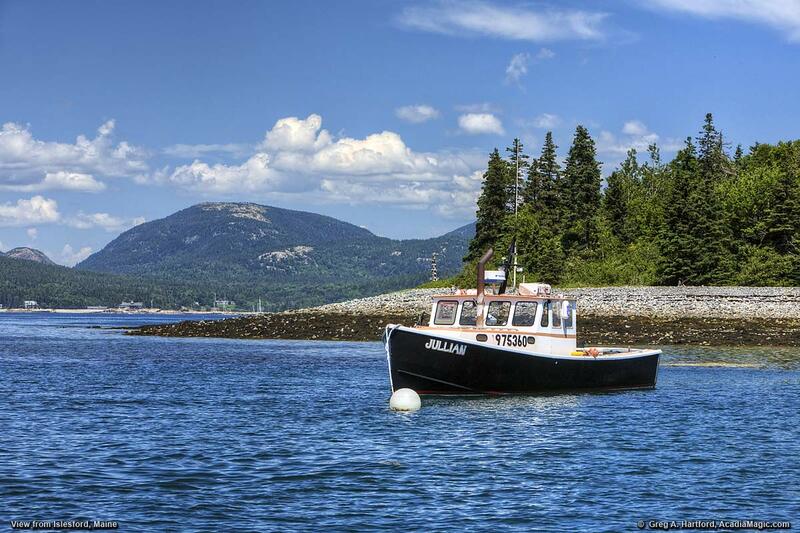 Access is provided by a local mail boat or tour boats from Northeast Harbor and Southwest Harbor. Several interesting shops, galleries and artisans reside here. 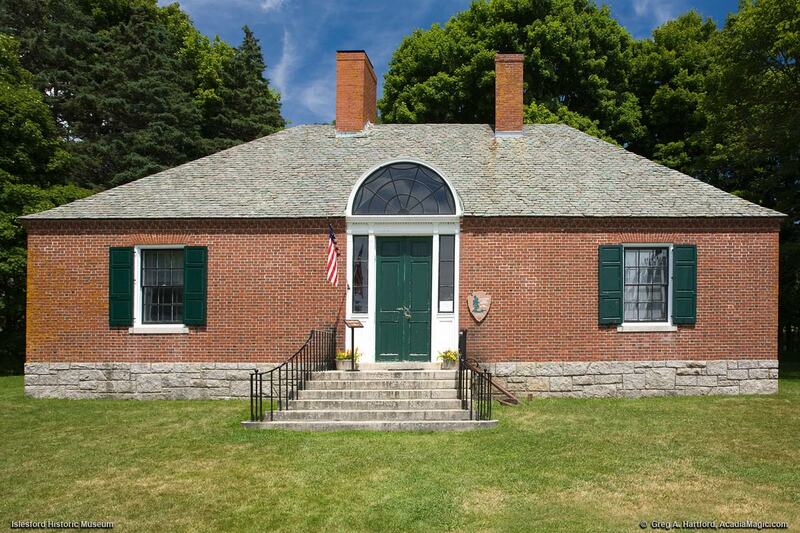 The Islesford Historical Museum (operated by the National Park Service) shows ship models, tools, and photographs that reveal island life during the 19th and early 20th centuries. Admission to the museum is free. There is also the Islesford Artists Fine Art Gallery and the Islesford Dock Restaurant (whose dominant presence greets you at the public dock when you arrive). Islesford and the rest of Little Cranberry Island, has a very unique and relaxed island lifestyle that is desired by many. The experience is like being able to take informal, safe, and unfettered strolls throughout a large extended neighborhood, where soon, you begin feeling as if you are a welcome member of that community yourself. People are relaxed, very friendly, and accommodating. 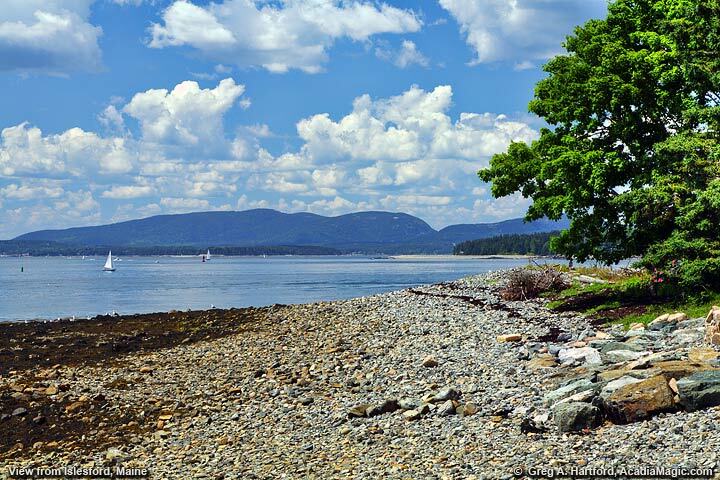 This warm and inviting hospitality is why so many people desire to vacation on the coast of Maine. It is a place, surrounded by ocean, where you can relax and get recharged at the same time. The fact that you can get some of the best seafood in the country here, does not hurt either! According to historical records, the likely first permanent settler of Great Cranberry Island was Benjamin Spurling in 1768. Spurling, a ship builder and sea captain, arrived here from Portsmouth, New Hampshire. During the British war with the American colonies, he was captured and held prisoner in the depths of one of the British ships. Already having a reputation as a "high-spirited man of great bravery," his command given to his son to partly console him as well as being a call to action, inspired many of his day. The words were "Never mind me, Rob, I am an old man; but give it to these dashed Britishers as hard as you can." One of the first settlers of Little Cranberry Island was John Stanley, Jr. His father, John Sr. began the lineage of the Stanley name that exists to this day throughout Hancock County. There are many places that bare the name as in Stanley Brook in Acadia National Park, within Seal Harbor, part of Mount Desert. There were many settlers trying to make a go of agriculture as this was the accepted view of where the area's worth was. It wasn't until Colonel Black (see Colonel Black Mansion in Ellsworth) was able to effluence the perspective that the area's wealth was actually in the timber industry, that this really took off. It seems obvious today that the rocky soil is not a good bet for agricultural endeavors. But then, it was not a fore drawn conclusion. 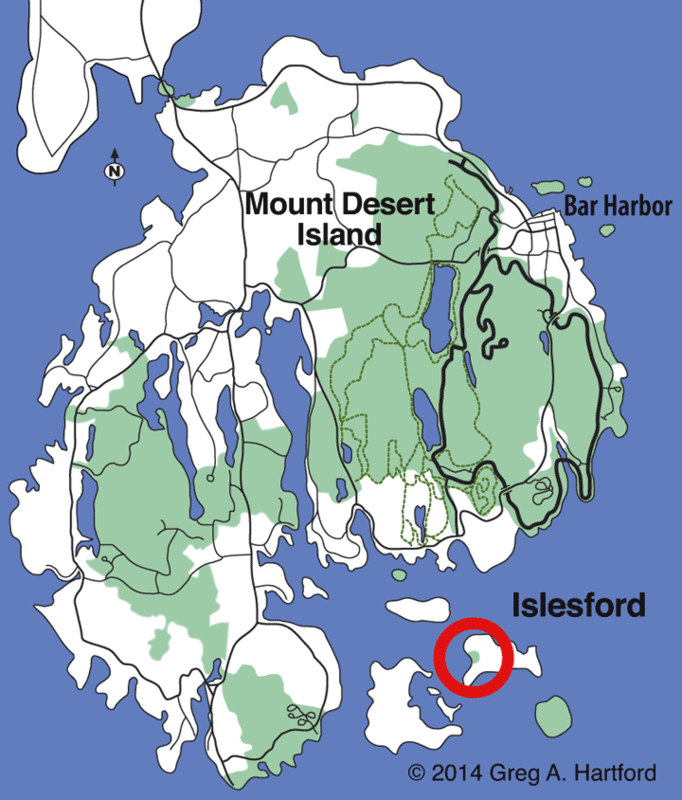 As you see in the smaller map, Islesford and Little Cranberry Island is on the southeastern side of Mount Desert Island near the entrance to Somes Sound. The only way to get here is via boat unless you are a very good swimmer. Some make the trip via kayaks. There is a mail boat that makes regular trips here as well as some tour boats out of Northeast Harbor and Southwest Harbor. you can access those locations in the navigation above. View the main Activities or Tours page to see what options there are for tour boats. You may also rent a powerboator sailboat out of Manset in Southwest Harbor. Captain services are available there as well. To get a better view of the locations of towns and villages on Mount Desert Island, access the larger map at the link at the top of this page, or you may click on the Islesford location map which will also take you there. The Cranberry Cove Boating Co. I really never knew what I was missing until I rented a boat along with captain services out of Manset in Southwest Harbor and made the trip to the Cranberry Islands off the southern coast of Mount Desert Island. Most memorable was my visit to Islesford on Little Cranberry Island. There is a very nice restaurant right at the main dock that just happens to have a spectacular view of the mountains on Mount Desert Island. I enjoyed visiting the other shops on the dock as well and taking a casual stroll around the neighborhood. This is well worth the effort and time to get here. I strongly suggest giving it a try. You will be glad that you did!